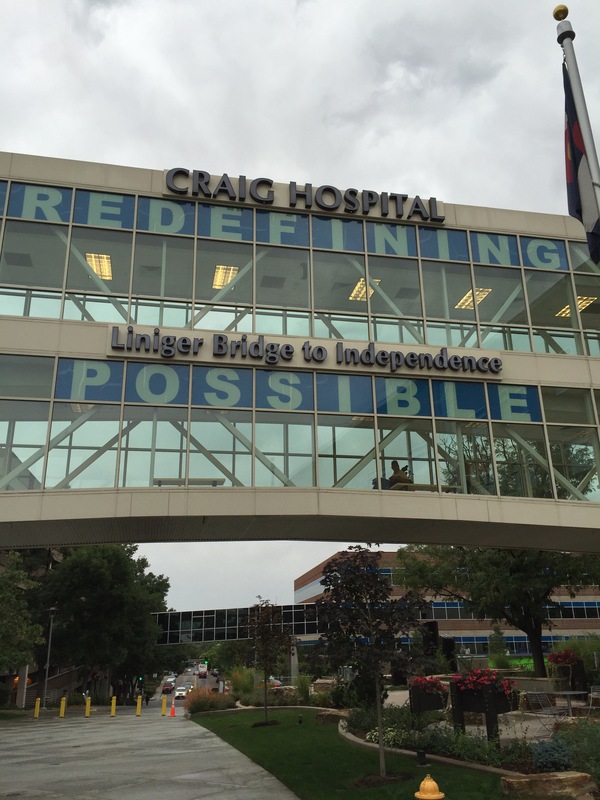 Last week I was in Denver visiting my brother-in-law at Craig Hospital. Ten weeks ago Dan fell 30 feet in a hiking accident in Hawaii. He continues to recover at Craig, one of the top ten hospitals in the US for brain and spinal injuries. I was very impressed by the level of care given by the doctors, nurses and “techs”. It is a small facility, only 52 beds. Each patient has rehab classes all through the day, as part of an individualized plan for their maximum recovery possible. But what is meant by the word possible? Of course with the range of injuries at Craig Hospital, “possible” can mean many different things. In the photo accompanying this post, the motto of the hospital is seen. It is Redefining Possible. I love that. Through the loving, healing care of these devoted professionals, what is possible is being redefined. It made me think in all our lives how possible can be so limited, especially in our own minds. We may not suffer from injuries like those at Craig Hospital. But we all have our own pain and limitations. We need people in our lives that can help give us a hope beyond hope, a redefining of what is possible. It is so easy to want to give up. I saw people last week that had every reason to give up with the extent of their injuries. Yet the message of hope was all over, in phrases written on walls, in the words and touch of the staff. We live in a world of much suffering, whether from our own pain or from the love we have for others. Hope redefines possible. Limitations can be faced in hope, a hope often given to us in the love and care from others. Redefining Possible is something all of us can do for those around us. We can start by doing it for ourselves. Where are we tempted to give up? Where have we defined possible as so low that there is no room for grace and new life? When we redefine possible, we open a door to seeing the impossible. That is what hope beyond hope is all about. Thanks to all those staff at Craig Hospital. You have cared well for so many, including Dan. Keep redefining possible. It is an example to all of us. Amen! With God, ALL things are possible! Previous Post When is it Time to Move On From a Leadership Role? Who’s Next?